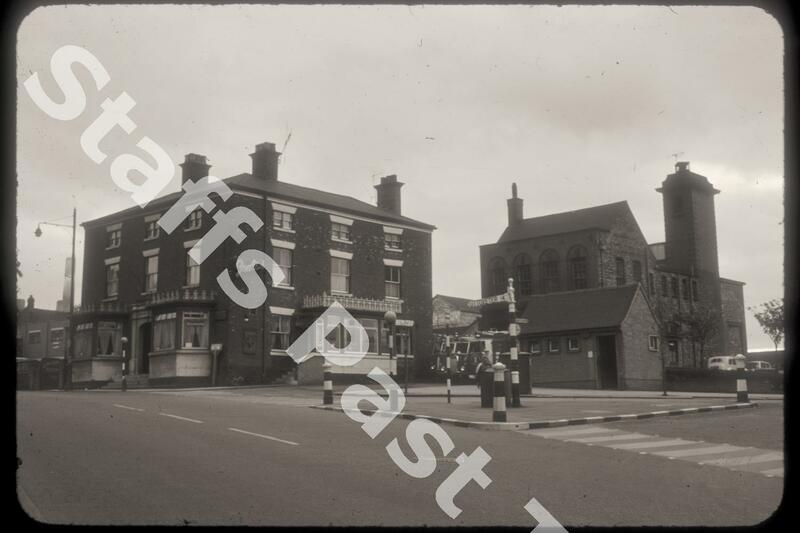 Description:This photograph was taken at the junction of Uttoxeter Road and Commerce Street (off to the right) in Longton, signed with old style finger posts. 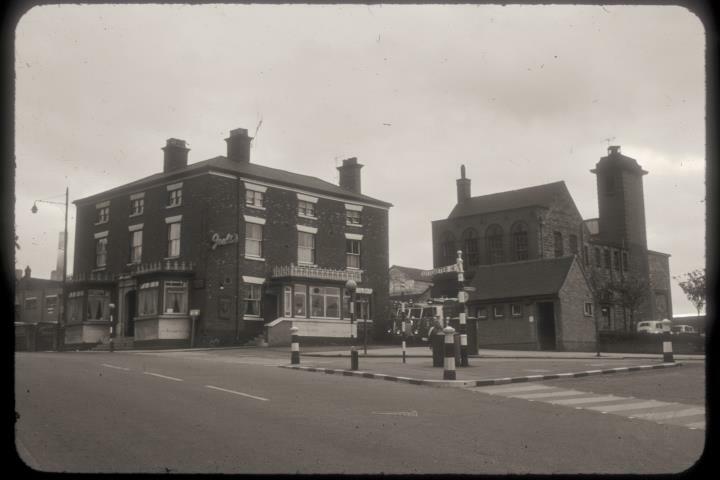 The building on the left was the Union Hotel and to its right the old Longton Fire Station. The Georgian style "Union Inn and Commercial Hotel" was a busy posting inn (for the hire and changing of horses) in the 1800s. Later it was the terminus for buses to Hanley, Stoke and Burslem. The building still stands, largely unchanged, and is in use as solicitors' offices. A pair of Dennis fire engines are ready to go in front of the station. Longton Fire Station dates from the 1860s, when the brigade was under the control of the local Police force. This building has been demolished. Th present station is further along Uttoxeter Road. Just off the left edge is Gladstone Pottery, one of its chimneys just creeping into shot.